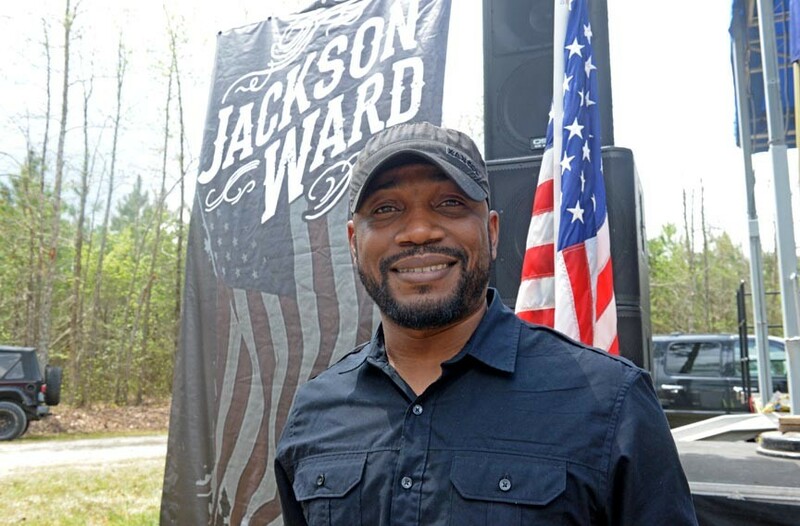 Jackson Ward's Lead Singer is Moving Up the Country Charts, Drink-By-Drink | Music | Style Weekly - Richmond, VA local news, arts, and events. Tony Jackson performs with Jackson Ward and is a regular at the Old Dominion Barn Dance. But he’s showing promise with a solo career. “Hey, you’re black!” is the second most common thing country singer Tony Jackson hears from fans. The first involves comparisons to artists Darius Rucker or Charlie Pride. But “they say it in the nicest way,” he says. Jackson, the lead singer for the band Jackson Ward and a regular cast member of the Old Dominion Barn Dance, discovered country music accidentally at age 11. His father was stationed at the U.S. naval base in Rota, Spain, where he and some friends took a bus into town, happening on a United Service Organization concert being set up in a field. Before that, Jackson mostly had been listening to his dad’s music — Motown, Earth, Wind and Fire, Ashford and Simpson — or singing along with his mom in the church choir. A few years ago, when local rock band Half Brother Sid needed a new singer, Jackson stepped up. 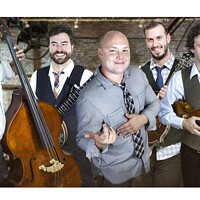 Then in 2014, he combined his last name with friend Jeff Richardson’s middle name to form Jackson Ward, playing singer and songwriter material together. But what he really wanted to play was country music. When legendary singer George Jones died, Jackson rounded up some friends and went into Sound of Music Studios — which recently moved to Scott’s Addition — to record Jones’ classic ballad, “The Grand Tour,” a clear-voiced tribute that has been covered by many, including a beautiful rendition by Aaron Neville. Jackson’s take landed on YouTube, netting 60,000 views at last count as well as glowing comments and a new fan: singer Donna Meade, widow of sausage king and country star Jimmy Dean. Meade tracked Jackson down, inviting him to be a guest performer at the Old Dominion Barn Dance and sing the song. In March, a video was shot for that upbeat and assured tune about beating trouble down with “a fifth of Crown.” The song’s been climbing the Music Row Country breakout chart and the singer has been featured in Country Weekly as a breakout artist to watch in 2016. Jackson recently got to meet another legend, Willie Nelson, at Innsbrook. “He told me we needed more brothers in country music,” Jackson says. So what’s the third most common thing Jackson hears? Jackson Ward performs Hands of Rescue at Colonial Harley Davidson in Colonial Heights on May 21.